Experience the new standard in practice guides. 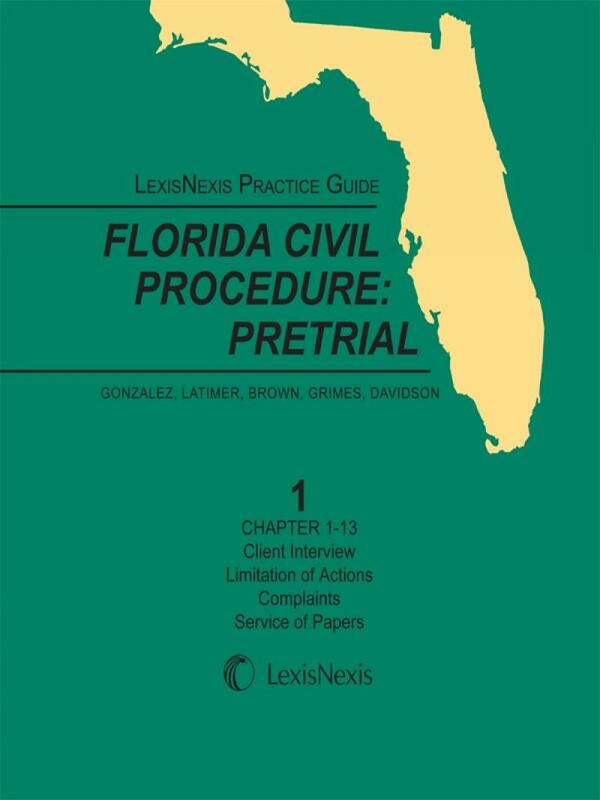 The LexisNexis Practice Guide on Florida Civil Procedure: Pre-Trial is part of a 5-volume series that gives you step-by-step guidance on procedural issues and quickly points you to LexisNexis resources that help you build your case. For a complete list, see the Table of Contents.